Vacation rental villa. 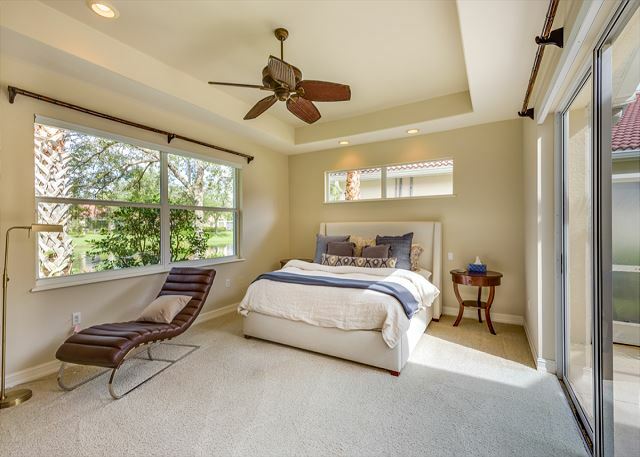 Sleeps 5, 3 bedrooms, 2 bathrooms. No pets allowed. 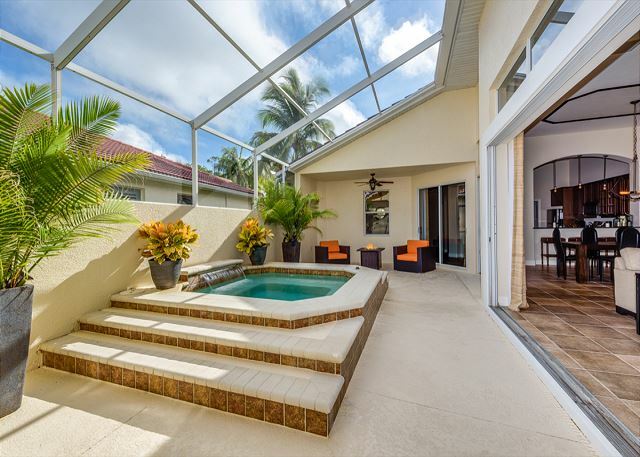 Enjoy the resort lifestyle at this finely decorated North Naples villa home in the gated community of Tarpon Bay! 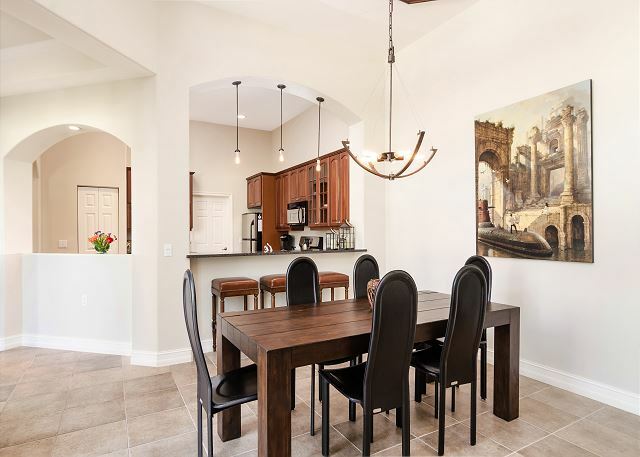 The wide open floor plan offers split bedrooms and a light-filled great room that opens out to the private screened courtyard, complete with an 8-person gas-heated hot tub with waterfall and a fire pit. 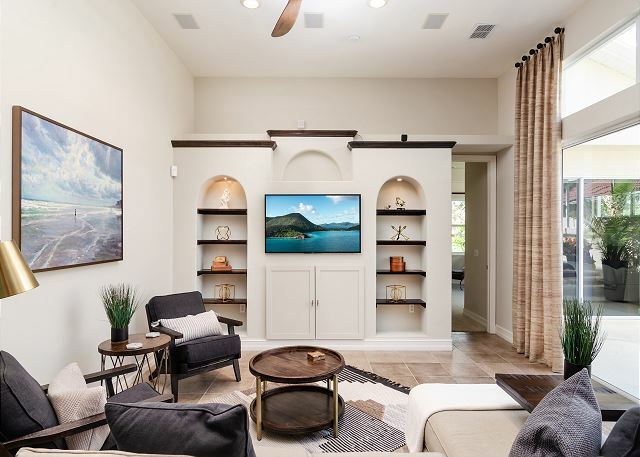 Swivel the 60” TV around to enjoy movies or sports games from the hot tub and outdoor living space. 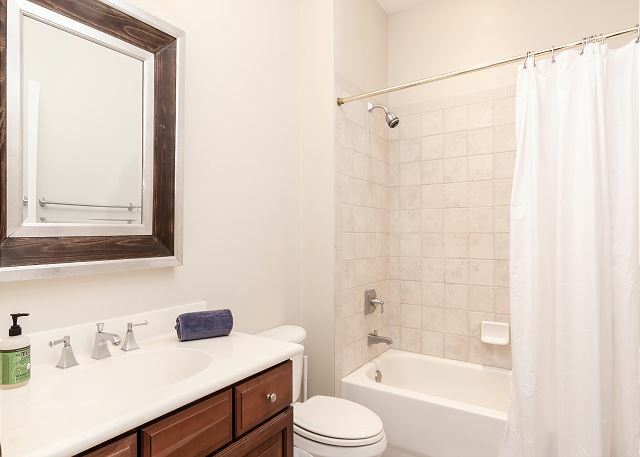 The spacious kitchen is fully equipped and features a gas stove, granite countertops and stainless appliances. 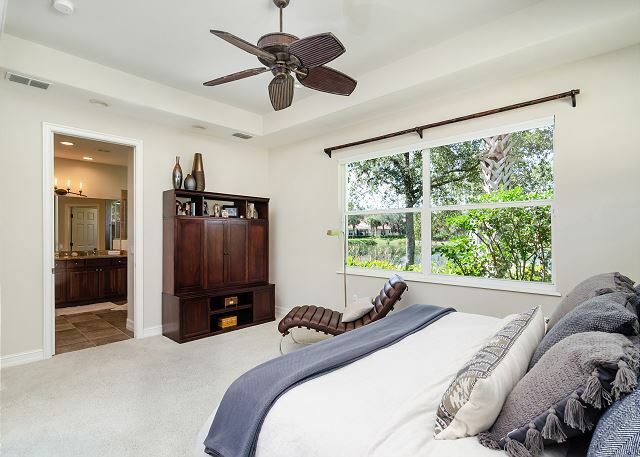 The master bedroom is at the back of the house, complete with a king-size bed, en suite bath, slider doors out to the courtyard and picture windows offering views out to the lake. 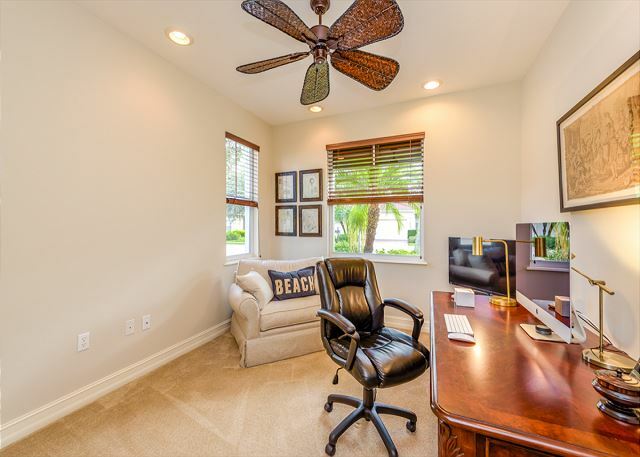 At the front of the home, find two guest bedrooms - one with a queen bed and the other set up as a home office/den with a desk and twin sleeper sofa. A two-car garage completes the package, providing covered, secure parking! The amenity-rich Tarpon Bay community is located in North Naples and offers a fantastic resort experience at the “Castaway Club”, which offers a lakefront infinity edge pool, clay tennis courts, a state of the art fitness center, BBQ grills, fishing pier, butterfly garden, nature trail and a clubhouse with business center, card room and billiards. 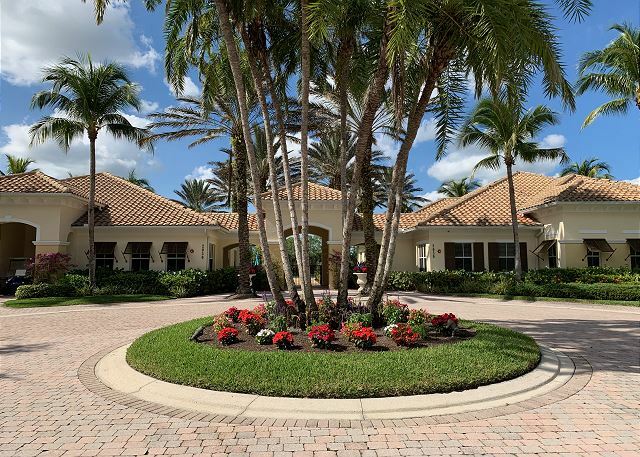 The location is just from North Naples attractions such as the Mercato shopping and nightlife center, Vanderbilt Beach and numerous golf courses, restaurants and shopping centers. 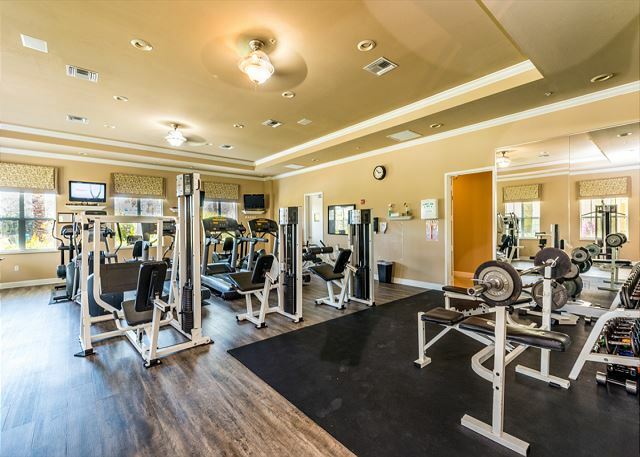 *This property requires an application be submitted 15 days prior to check-in date and approved by the HOA prior to occupancy. Forms will be provided with formal lease agreement. I am going to say Perfect. Im not sure this will help but the seasonal stay was perfect. The Holiday life people were very competent. The villa was everything that was advertised. 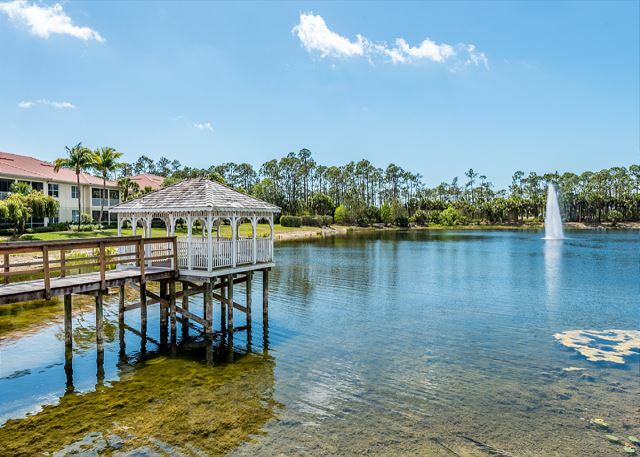 North Naples is so close to EVERYTHING! So VERY happy with my stay! I could go on an on but perfect seems to say it all, yes?